In this fourth article in the DevOps series, we will learn to install RabbitMQ using Ansible. 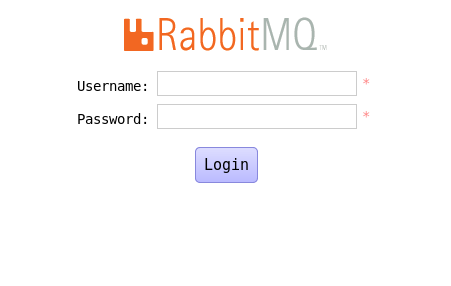 RabbitMQ is a free and open source message broker system that supports a number of protocols such as the Advanced Message Queuing Protocol (AMQP), Streaming Text Oriented Messaging Protocol (STOMP) and Message Queue Telemetry Transport (MQTT). The software has support for a large number of client libraries for different programming languages. RabbitMQ is written using the Erlang programming language and is released under the Mozilla Public License. RabbitMQ requires the Erlang environment, and uses the Open Telecom Platform (OTP) framework. There are multiple sources for installing Erlang - the EPEL repository, Erlang Solutions, zero-dependency Erlang provided by RabbitMQ. In this article, we will use the EPEL repository for installing Erlang. $ ansible-playbook -i inventory/kvm/inventory playbooks/configuration/rabbitmq.yml --tags "server"
The RabbitMQ management user interface (UI) is available through plugins. $ ansible-playbook -i inventory/kvm/inventory playbooks/configuration/rabbitmq.yml --tags "ui"
The default user name and password for the dashboard are ‘guest:guest’. From your host system, you can start a browser and open http://192.168.122.161:15672 to view the login page as shown in Figure 1. The default ‘Overview’ page is shown in Figure 2.
shell: gem install bunny --version ">= 2.6.4"
$ ansible-playbook -i inventory/kvm/inventory playbooks/configuration/rabbitmq.yml --tags "ruby"
puts " ... waiting. CTRL+C to exit"
puts "Sent five temperature values." We can observe the available connections and the created queue in the management user interface as shown in Figure 3 and Figure 4, respectively. 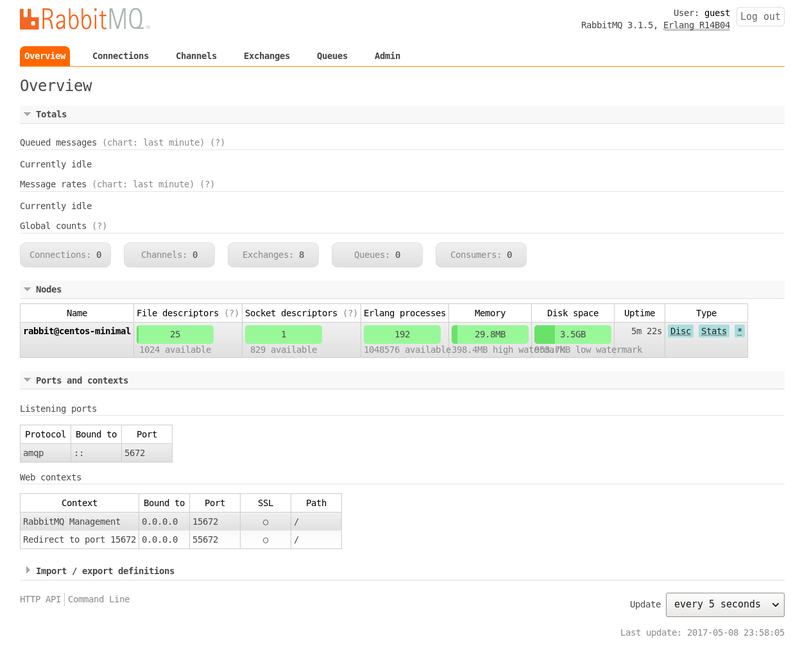 You are encouraged to read the detailed documentation at https://www.rabbitmq.com/documentation.html to know more about the usage, configuration, client libraries and plugins available for RabbitMQ.